It is that time again! We are gearing up for this month’s discussion of The True Memoirs of Little K by Adrienne Sharpe (Tuesday, September 27 right here), but it is also time to give away next month’s BOOK CLUB selection. In October we will be reading another offering from Picador, The Marriage Artist by Andrew Winer. We will be discussing The Marriage Artist on Tuesday, October 25th on Nicole’s blog. When the wife of renowned art critic Daniel Lichtmann plunges to her death, she is not alone. Lying next to her is Benjamin Wind, the very artist Daniel most championed. Dedicating himself to uncovering the secrets of their relationship, Daniel discovers a web of mysteries leading back to pre–World War II Vienna. Ambitious, haunting, and stunningly written, The Marriage Artist is an “elaborate psycho-political-sexual puzzle, with…hard truths, startling visions, and eerie insights into the mystical and memorializing powers of art, and that endless hunger we call love” (Booklist). If you would like to be considered as a participant for October, please fill out the form below by the end of the day Wednesday, September 21. 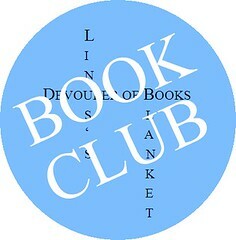 Your mailing address will be discarded if you aren’t selected to participate and used to mail you the book if you are. I do not share or retain any personal information. Only those selected will be contacted by email. Woo hoo! I love seeing what the selection is each month. I am in the middle of this month’s selection and I can’t put it down.